Back of shirt has same emblem/logo as front in 12″ in diameter. Available in Heather Gray. Gildan Blend 50/50 Cotton & Poly. Sizes S, M, L, XL, XXL, XXXL. Price includes shipping. Allow 2 weeks to ship. To order one shirt, click the PayPal button below to go directly to PayPal and select size. 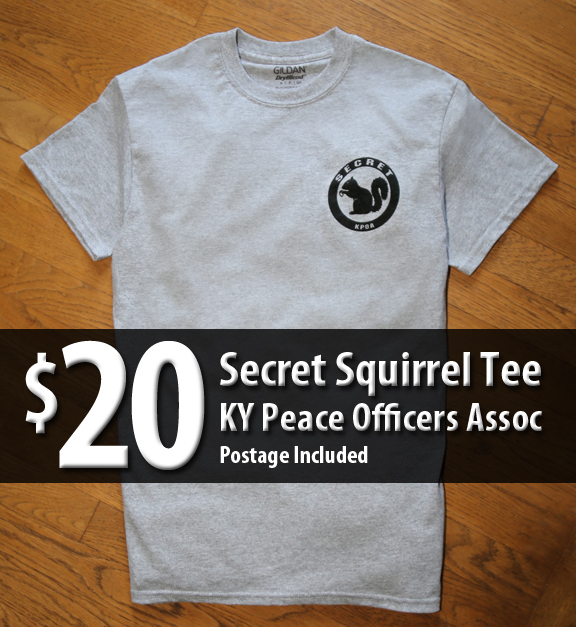 To order multiple shirts, contact us via email at info@KentuckyPeaceOfficers.org Include your contact info and quantities and sizes needed. We will return your phone call and collect payment information after the order details are confirmed. Stickers are 6x3 inches. Vinyl suitable for outdoor applications on clean surface. Price includes shipping. Allow 2 weeks for shipping. 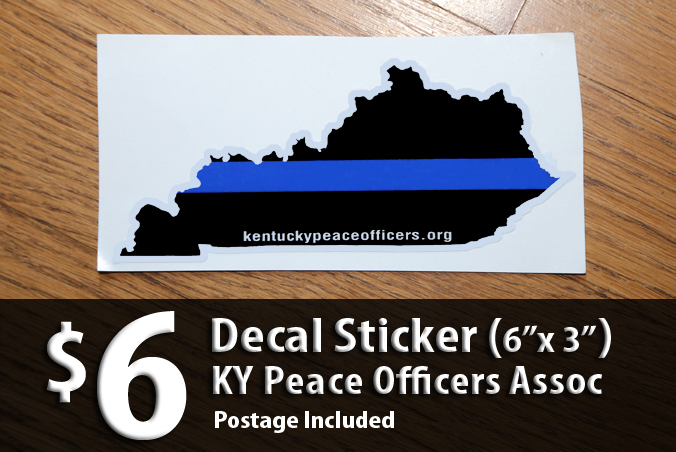 To order multiple stickers, contact us via email at info@KentuckyPeaceOfficers.org Include your contact info and quantities desired. We will return your phone call and collect payment information after the order details are confirmed. © Kentucky Peace Officers' Association, Inc.